Asking why cities matter is asking the wrong question. If cities mattered post-apocalypse movies and the great television series, “Cities After People” would have very different images of cities. What matters is not cities but people. A city street full of all the right elements—interesting buildings, vibrant storefronts, excellent bicycling infrastructure, great pedestrian only streets, super-energy efficient systems, etc, feels dead and cold without life—particularly without people. The reason to care about cities is to care about ourselves—our happiness, our health, our children, our grandchildren. When we are inefficient with how we manage and use energy, when we pollute, or create the circumstances that creates unpredictable and more severe weather, when we insist that a great deal of a person’s personal resources must go to expensive housing and cars because we don’t have alternatives, we compromise our happiness and health and we compromise that potential for our kids and grandkids. Making better cities, cities that increase the quality of life for people while reducing resources and improving the environment (i-SUSTAIN’s mission) is fundamentally selfish. Patricia Chase, President of i-SUSTAIN, is an urbanist who has spent 10 years researching and sharing global best practices in urban sustainability. 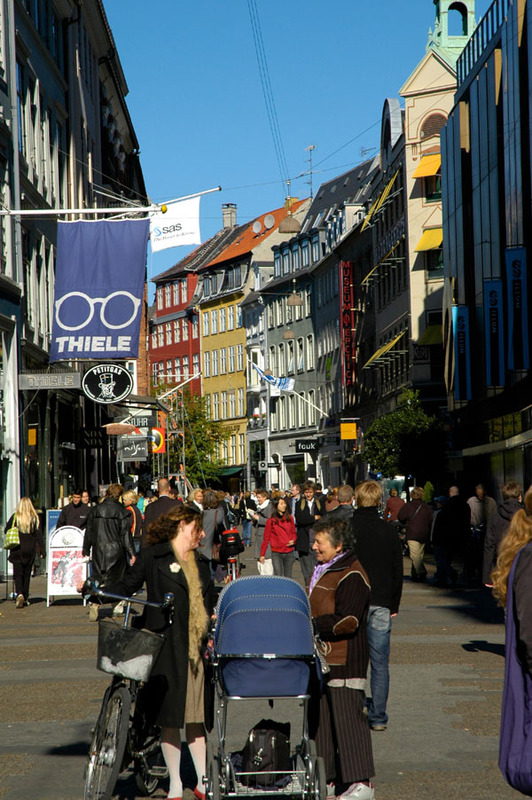 The name of the pictured pedestrian street is misspelled in the caption. It is Stroget (or, even better, Strøget), not Storget.